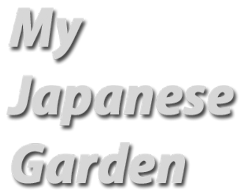 You can find many sites dedicated to Japanese gardens on the internet, even quite a few in the UK. But actually finding detailed information to build one can be challenging. I hope this site will help you build your own even though this one is far from perfect. I have visited Japan many times and grew bonsai trees so I had wanted to have a Japanese garden in my house for many years and this is the result. "Your garden is simply beautiful. at least you made a reality what millions out there could only dream of. IU am an oriental but I have this deep fascination about Japanese gardens. Unfortunately i can only go on dreaming." "You have such a passion for Japanese gardens and I just wanted to let you know how inspired I am!" "I've really enjoyed your various exploits on the web - the teahouse, Japanese garden and the extension. 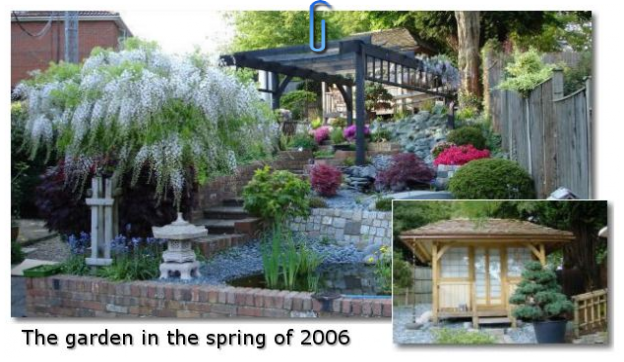 I'm building a house at the moment and want to include a Japanese garden so your projects have been inspirational." "I just wanted to let you know that I have just spent a couple of hours looking at both your Japanese Garden & your Tea House, I must say....what a beautiful job...both Garden & Tea House are just gorgeous"